I remember reading Suzanne Collins’ The Hunger Games before the film adaptation came out, but for some reason, I never got around to reading the sequels Catching Fire and Mockingjay. Odd, because I really enjoyed the book the first time I read it. I even remember falling in love with Peeta Mellark, the male tribute from District 12 who is as sweet as the breads he bakes. This was before my man and I got together, so I was falling in love with random people, including fictional characters. But if you’ve read the book, you’d know exactly how adorable Peeta is. Even if I haven’t read Catching Fire and Mockingjay, I went to see both films (blasphemy!) and loved it. Which brings me to the question: why have I not completed the series? So before the second installment of Mockingjay premieres, I decided to read the books. And since The Hunger Games came out two years ago and the last installment of the film series will come out next November, I started from the beginning. If you’ve been living under a rock and have missed what is probably the biggest book and film series since Harry Potter, The Hunger Games trilogy is about Panem, a post-apocalyptic North America where 12 districts, each specializing in a certain kind of trade, is controlled by the central government known as the Capitol. Each year, the Capitol holds the Hunger Games, a televised fight-to-the-death competition between 24 tributes (two per district). 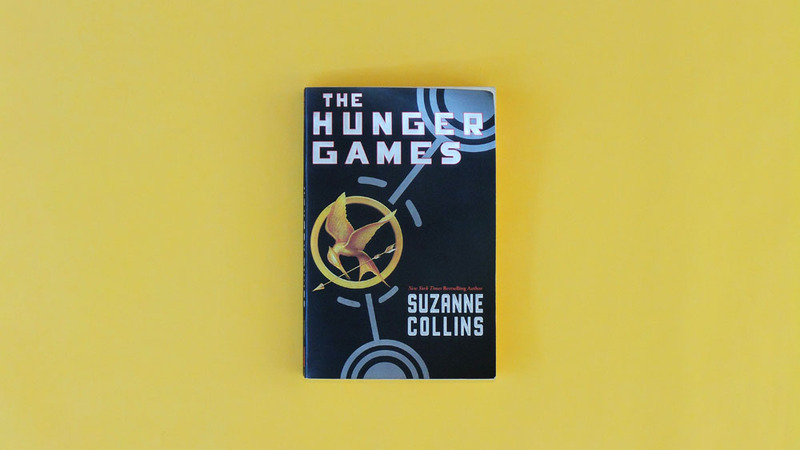 The Hunger Games are a punishment for the districts, who once revolted against the Capitol. For the 74th Hunger Games, the tributes are Katniss Everdeen, a young hunter, and Peeta Mellark, the son of a well-to-do baker. The books are tagged as YA, but The Hunger Games is incredibly morbid. When you put things in perspective, these are 12-18 year old kids locked in a controlled arena, with weapons like bows and arrows, axes, maces, and knives to kill each other. They also have to contend with the arena, which is rigged with various traps and weather conditions. These are televised in the whole of Panem, where those from the Capitol cheer and bet on the tributes, while those back home watch their friends or relatives get slaughtered. Even before reading Catching Fire and Mockingjay, you can catch a whiff of the political subtext that permeates throughout the trilogy. An oppressive government, unhappy constituents who are forced to kill each other to the entertainment of the rich, and the chance at revolution. The Hunger Games on its own is entertaining, but to fully appreciate the message of the trilogy, which is the power of revolution, you have to read the whole series. I’m already reading Mockingjay and trust me… watching the films is not enough.